"There shouldn't have to be this dice game where you either get it or you don't get it." I believe that education is an inherent right. Moving from Harlem to the Lower East Side at a young age showed me that quality & education has not been equally dispersed throughout NYC. I believe the most tangible way to fix these differences is through voting. Because I'm too young to do so, I urge those you who are able to vote to promise to&do so on my behalf. Maybe this will give every child access to a worthwhile education. 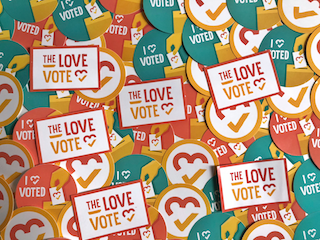 Show Maya love + inspire others + get voting info + get event invites + get stickers + create change!